Around last week, Samsung in Germany introduces the all new Samsung NX1, which is a DSLR camera with a edge of almost everything compared to any other cameras available out there. Why do I say so? Well simply because of the following reasons. First, it could shoot at 15fps continuously in Auto Focus ( AF ) mode, which in this case the AF mode is unique and known as System III with 205 Phase Detection AF. When it comes to image quality, you are never left out and always given superior quality especially when you get a 28 Megapixel APS-C BSI CMOS Sensor which will definitely provide you the performance and precision that you need. 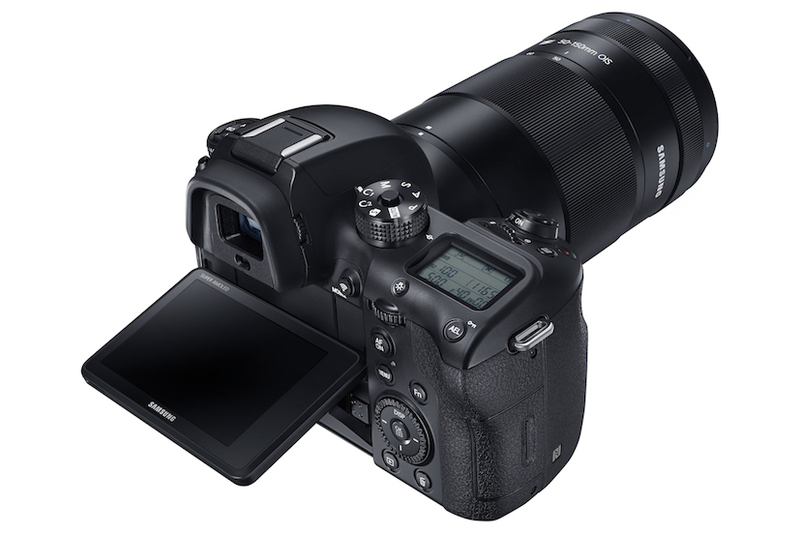 Samsung’s new NX AF (Auto Focus) System III with 205 Phase Detection AF points, the NX1 redefines the boundaries of semi-professional level photography with its speed, agility and focusing ability. While the most extraordinary moments can pass by in an instance, the NX1’s world class AF speed (0.055sec) allows them to be captured and remembered in rich detail for years to come. Wide Phase Detection also means the NX1 can instinctively track subjects almost anywhere in the frame, regardless of their location. Photographers can capture even the briefest of moments as there is no need to re-compose a shot – they can simply focus and shoot immediately. Additionally the NX1 supports the use of Phase AF during movie recording, so that results are stable and steady. Samsung Auto Shot (SAS) feature which actually automatically takes the picture at precisely the right moment. Thanks to the NX1’s brand- new DRIMe V processor, the advanced hardware algorithms can recognize high-speed motion, and equate shutter-lag in real-time. The NX1 supports native ISO 100-25600 and extended ISO to 51200, letting you capture well-exposed images with less noise, even when the lighting conditions are quite dark. ​The NX1 supports both 4K and Ultra HD (UHD) video recording, providing flexibility and choice for movie capture. UHD has four times higher resolution than Full HD, readily apparent in the smooth and impressive quality of footage shot on the NX1. The inbuilt HEVC Codec (H.265), the most advanced compression technology available, brings efficiency to the storage of video clips by compressing high quality video to half the size and bit rate of H.264 footage without compromising on quality and all this cane be directly stored on a SD card. Some other interesting facts to be known are such as the magnesium alloy body that the Samsung NX1 is made of,you get WiFi and Bluetooth built-in the NX1 itself. Last but not least, the lens that comes with the Samsung NX1 is the new 50-150mm 2.8 S ED OIS lens, a high end, premium telephoto lens perfectly matched with the NX1. With its ultra-fast F2.8 maximum aperture and 35mm equivalent 77-231mm focal range. * Note – This product is not water or dust proof. It is designed to resist dust and minor splashes only. Exposure to severe conditions is not recommended.